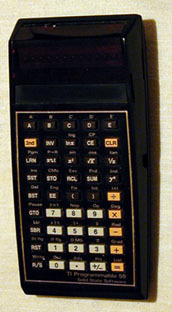 Biographies usually begin with one's date of birth; I've decided not to follow this habit but to start in the middle, on July 25, 1979, when I bought my first computer, Texas Instruments 58. It was a hell of a machine, and it wasn't very easy to fill up its memory of 500 bytes. Nevertheless, those 500 bytes were enough for me to learn the basics and to hit the road as a computer programmer. It's a road I've been on for the last 18 years. As you'll see from the story that follows, I've also strayed here and there and have taken a few side-roads in the meantime. In January 1981, when only a few people in Yugoslavia even knew that there were such things as computers, I started to write articles about programmable calculators for Galaksija (Galaxy), a popular science magazine. Some time later, the special edition Racunari u vasoj kuci outgrew itself to become the magazine "Racunari" (Computers). During the 11 years I published over 30 MB of articles (as long as floppy disks were the most popular data storage media it seemed to me that I had written a great deal... but now, when those 30 MB occupy just a fragment of a CD-ROM, I'll have to stop boasting about how much I've written). In March 1995, the three of us -- Vesna Jeremic, Zoran Zivotic and I -- founded the publishing company "PC Press" and began publishing "PC", the first privately owned magazine in Yugoslavia focusing on the professional use of computers. Currently, I am the Editor-in-Chief of the "PC". 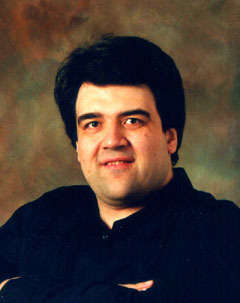 At the end of 1989, Zoran Zivotic and I founded the System for Modem Communications - Sezam. During the past 11 years I have had the pleasure of being Sezam's system administrator, and Sezam became the biggest BBS in Yugoslavia. On December 19, 1995, I co-founded SezamPro, the largest on-line system in our country. I've also done some other computer-related projects: I have designed several computer systems, have worked as a consultant on many projects, and, of course, done a lot of programming. Most of this was work that involved creating database software, programs for specific desktop publishing needs, as well as software for microprocessors. You will find more about my projects on the following pages, which make up the main part of my presentation. For the more curious visitors, I've also scanned some pictures from my personal photo-album.